Renault Pro+ has been a front-runner in the electric van space for more than a decade, with its Kangoo Z.E. launched as a concept at the 2008 Paris Motor Show. In the years since, the 100 per cent electric Kangoo Z.E. has been seen zipping around the urban environment, fulfilling the last-mile delivery niche and doing its part in making city centres quieter, less polluted places when replacing diesel equivalents. So well has it done, in fact, that Renault has seen fit to bring the electric powertrain to its bigger brother, the Master. The New Master Z.E. is 100pc electric – meaning reduced emissions, noise and air pollution compared with its fossil-fuel powered cousins, with an NEDC range of 124 miles* that comes with today’s batteries, ensuring it remains an intracity, rather than intercity choice for now. Simone Bruckner, managing director of Cressall Resistors, which manufactures resistors for electric vehicles, has witnessed an uptick in the market, and sees the new van as a sign of things to come. “With Renault Pro+ launching its New Master Z.E., it is clear that the electric vehicle boom is upon us,” he says. The new van uses the same 77hp electric motor and 33kWh battery pack as the smaller Kangoo Z.E. and will be available in six versions, three lengths and two heights. The flexible and capable Master is one of the mainstays of the UK’s light commercial vehicle (LCV) market. With electric power the clear direction that all manufacturers are moving in, the New Master Z.E. could be the future of fleets for many SMEs. Duncan Clark, head of business operations at the biogas-to-liquid-fuel company Renovare Fuels, is certain electric LCVs are the vans of tomorrow. “When we consider the future of transportation, and more importantly fuel, we have to address carbon emissions, overall air quality and other factors, such as noise and functionality of the vehicle itself,” he says. SME fleet operators must keep an eye on fuel costs and operating margins, but the fundamental need for sustainability is an increasingly important factor in their decision-making, according to Jon Lawes, managing director of Hitachi Capital Vehicle Solutions. “We’re seeing increased demand for alternatively fuelled vehicles [AFVs],” he says. “The total number of new AFVs being registered is up almost 22pc in the year to date, representing 114,000 new hybrid or electric cars on the road this year. 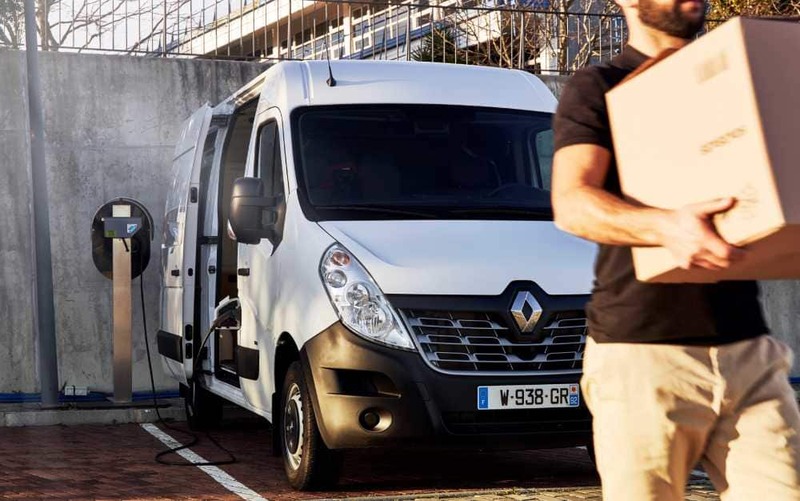 Mr Lawes says the fact that manufacturers such as Renault are launching AFVs into the competitive LCV market “shows that meeting emissions targets is clearly on the agenda”. He says: “This ties in with the trends we’re seeing in our own research, which shows that 73pc of fleet owners think the Government can do more to support the move to AFVs, while 82pc of fleet managers believe it’s important to move towards AFVs, and 42pc of fleets are planning to add more AFVs within the next two years.